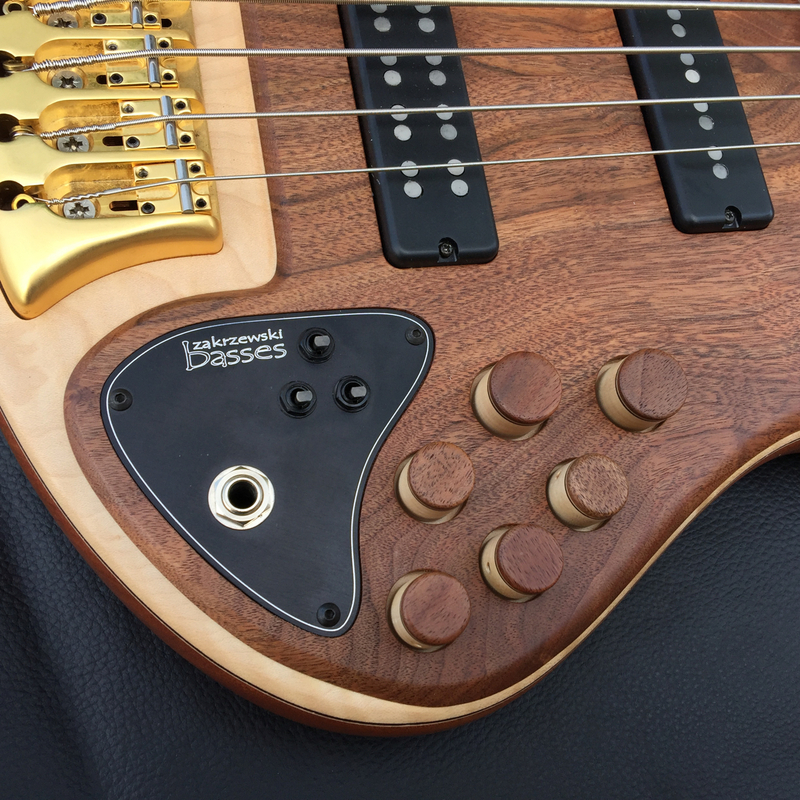 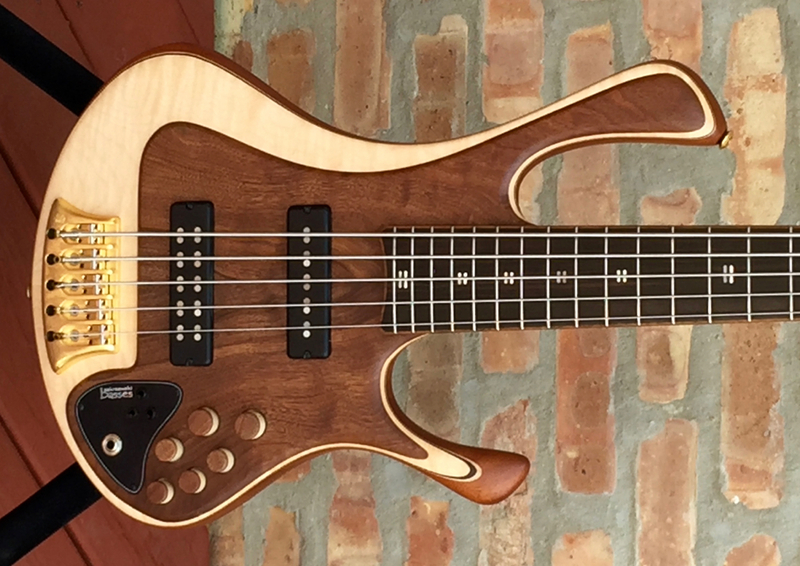 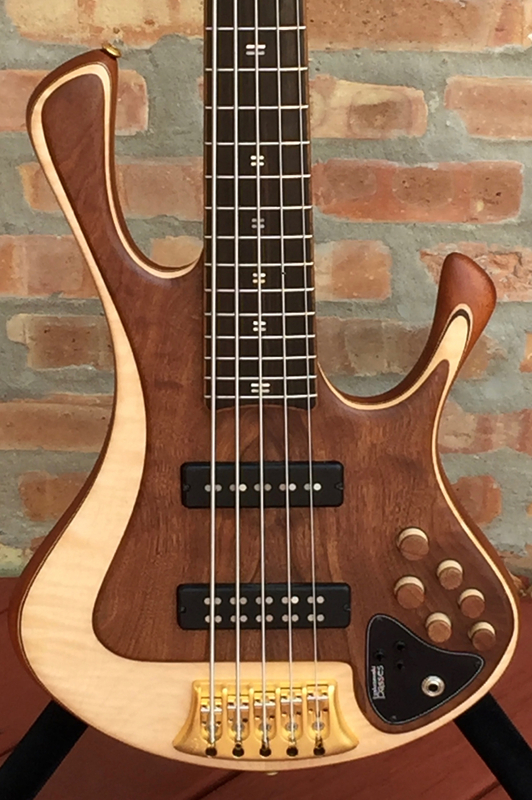 Piotr Zakrwewski is a very talented bass builder located in Poland. I always say, talent and great basses/music can come from anywhere in the world. 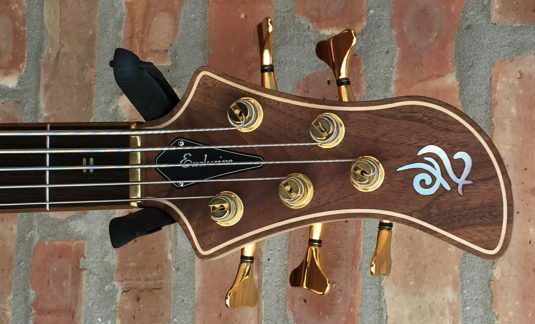 I offer this bass as proof. 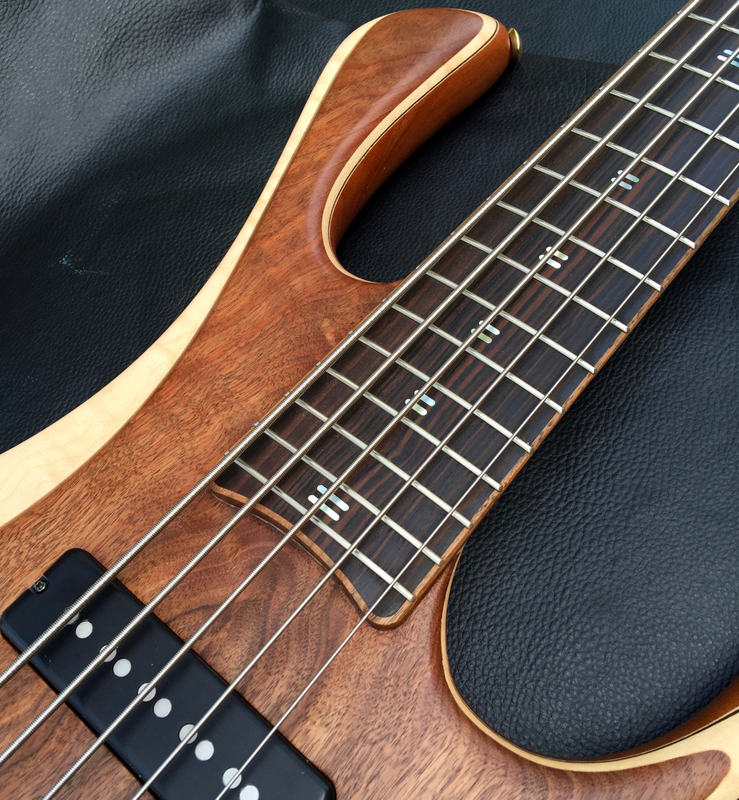 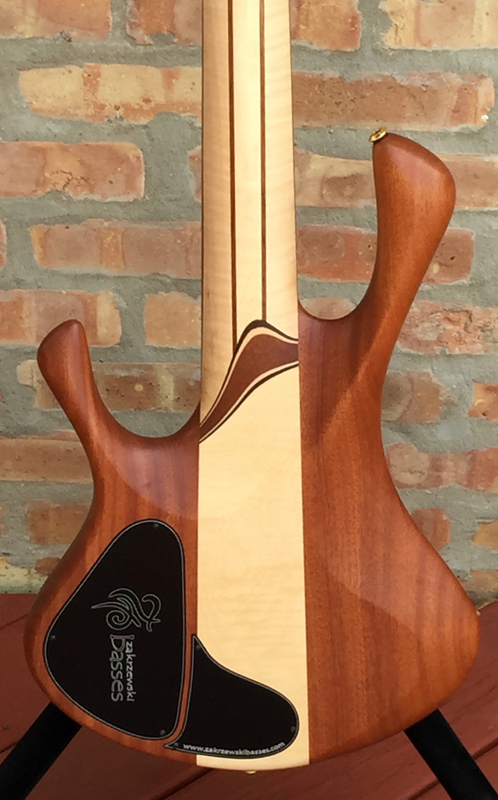 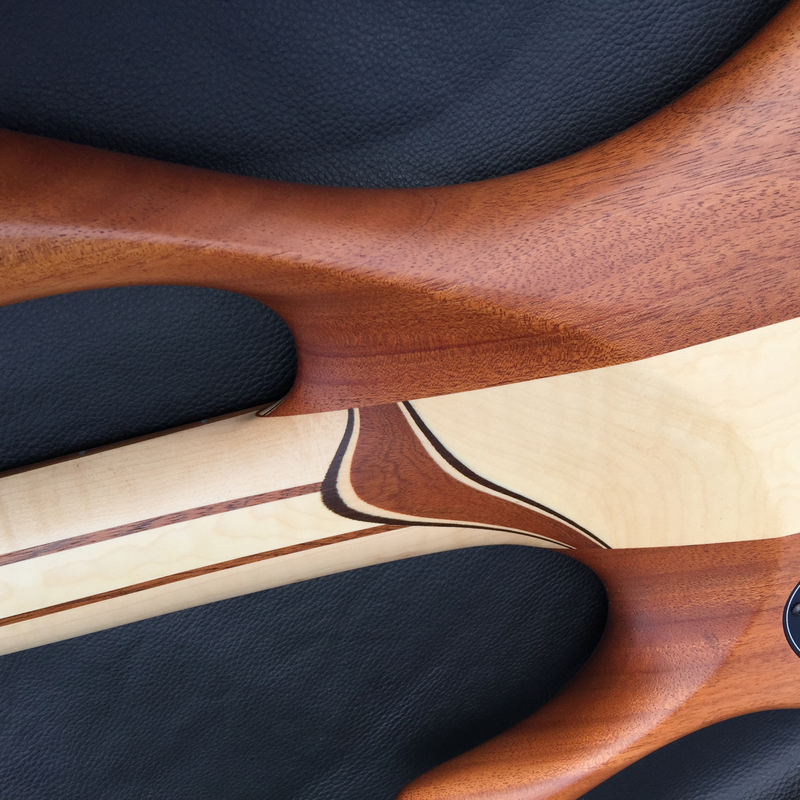 Five piece neck , Maple and Bubinga , with Walnut binding – nice ! 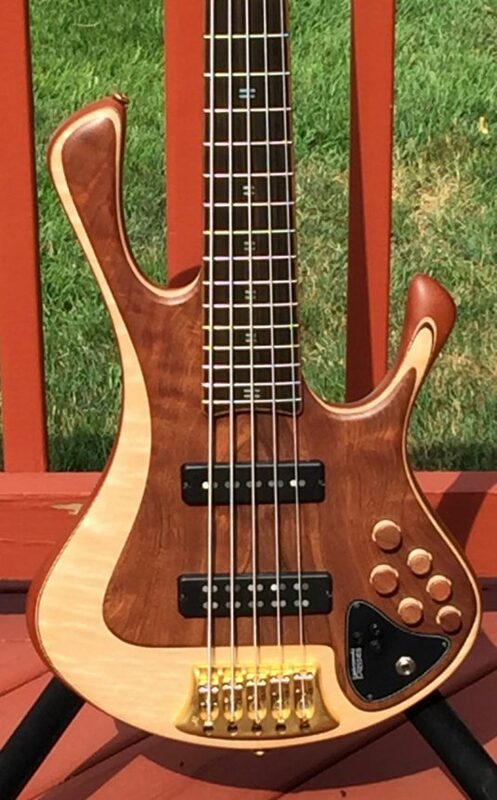 This bass is in excellent + condition. 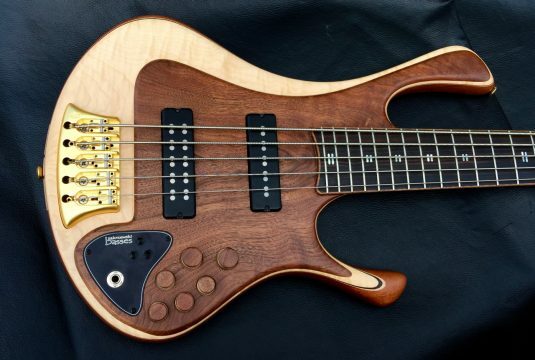 I love the style of this bass, it looks great and fits very well.